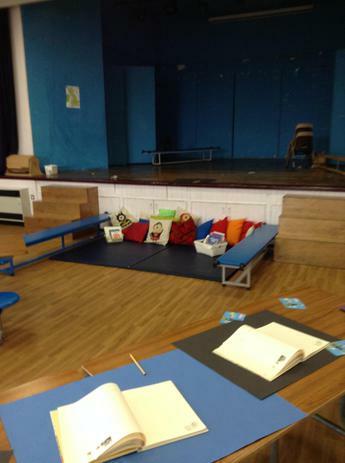 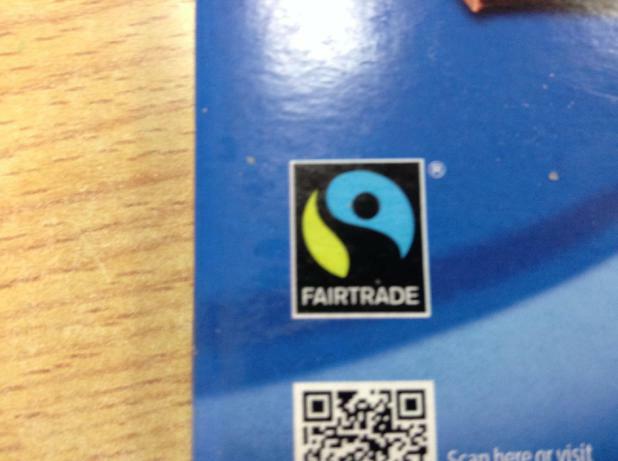 At Halsnead, we are extremely proud to be a Fairtrade school and have been awarded the Fairaware Schools Award. 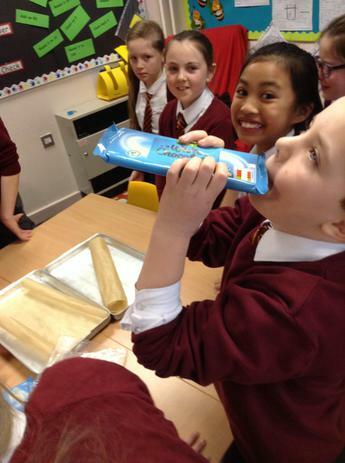 Our pupils are passionate and knowledgeable when it comes to Fairtrade issues; as they demonstrate when they discuss the use of Fairtrade products and the lives of farmers abroad. 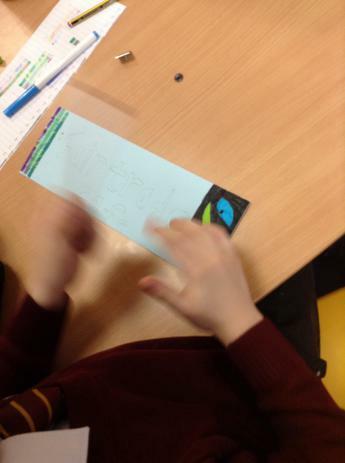 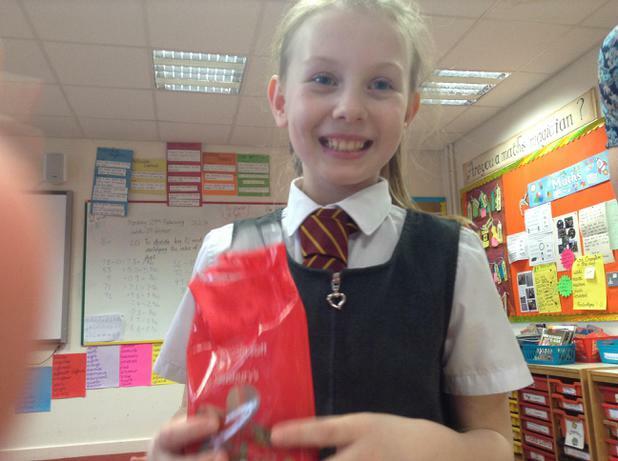 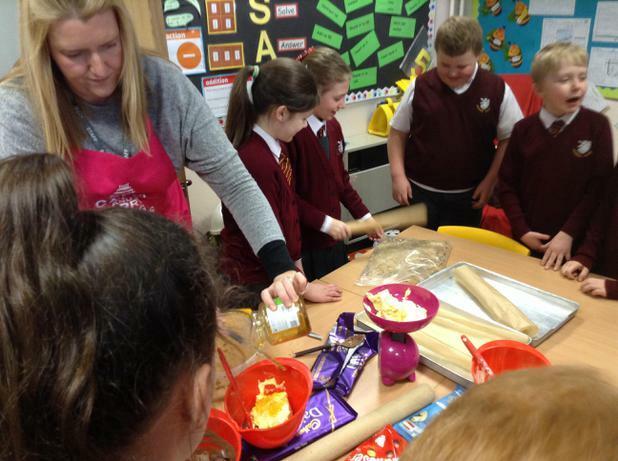 Fairtrade products are now bought regularly by the school. 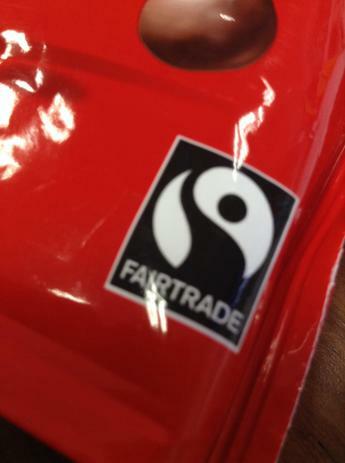 Products which are used by staff, parents and children such as: tea, coffee, hot chocolate, sugar, footballs and chocolate always display the Fairtrade logo. 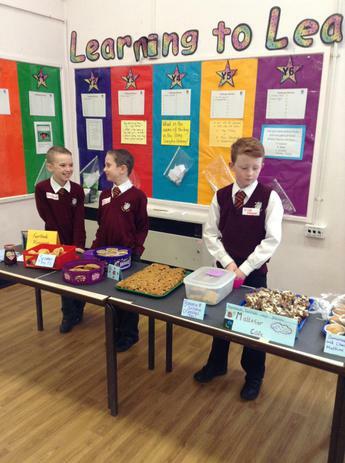 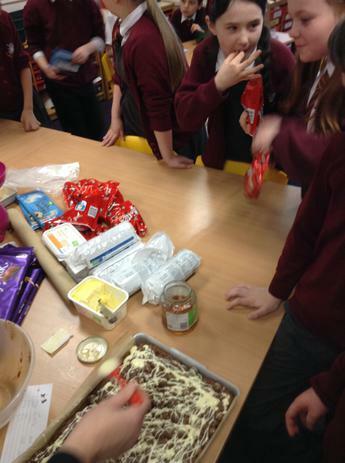 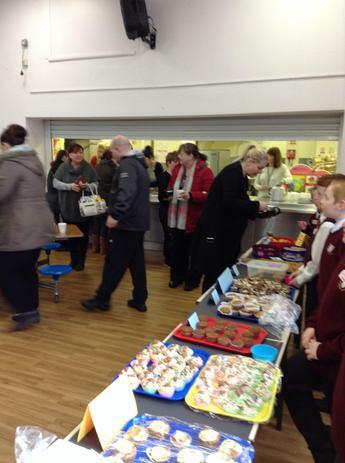 One of the highlights of the school calendar is the annual Fairtrade cake sale which is sponsored by our wonderful local Co-operative shop who supply many of our ingredients throughout the year. 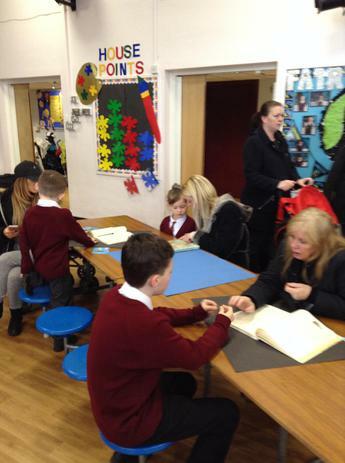 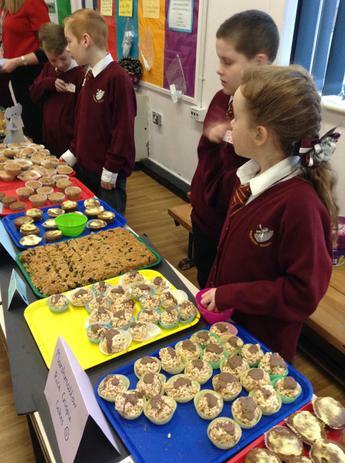 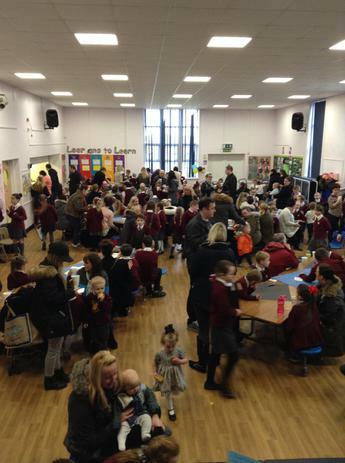 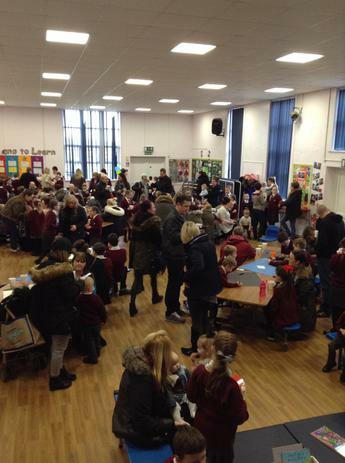 The cake sale is an opportunity for children to demonstrate their baking skills and for parents and members of the local community to sample the tasty delights! 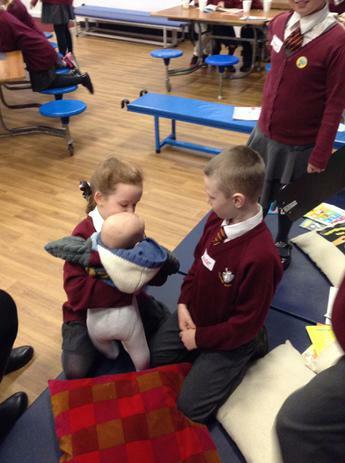 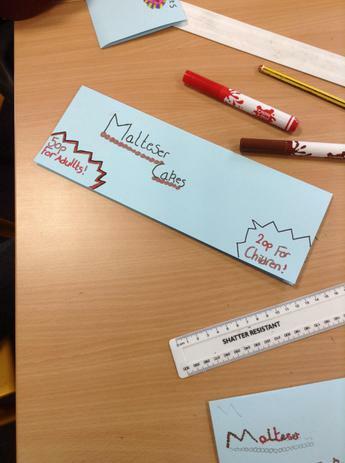 At the start of each academic year, each class votes for the pupil that they think would best represent them as their spokesperson for Fairtrade issues. 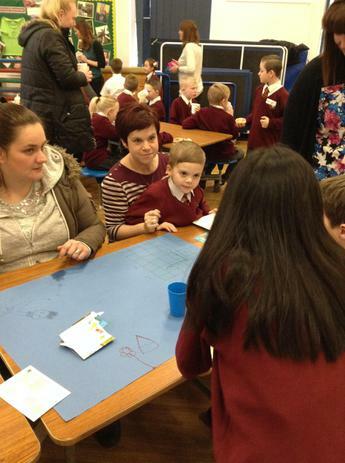 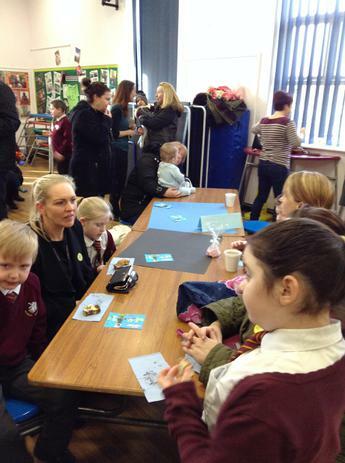 The Fairtrade Reps then meet termly with Mrs Olushonde to discuss how Halsnead can further their Fairtrade goals. 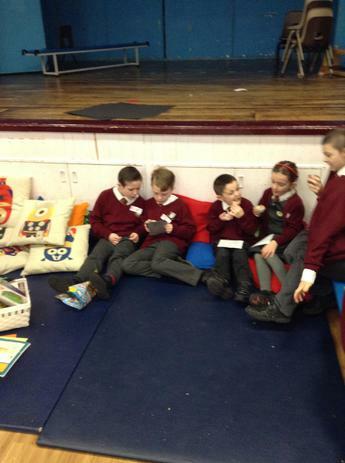 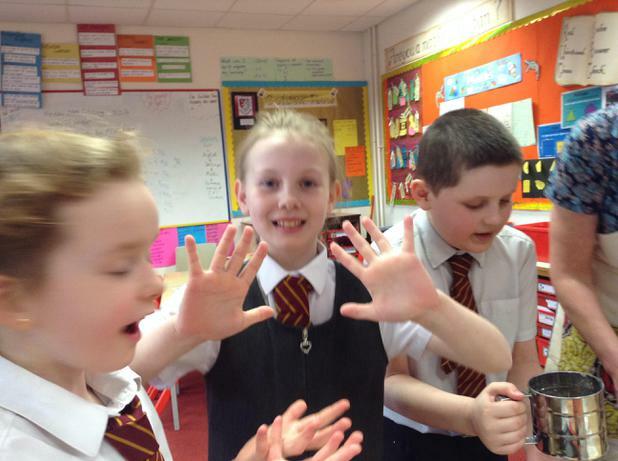 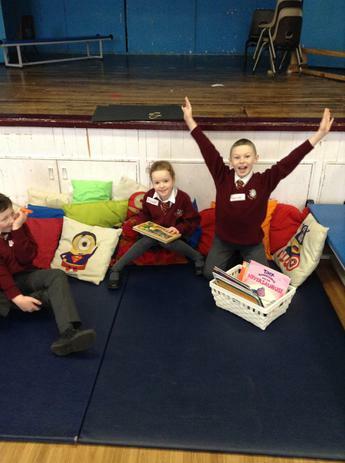 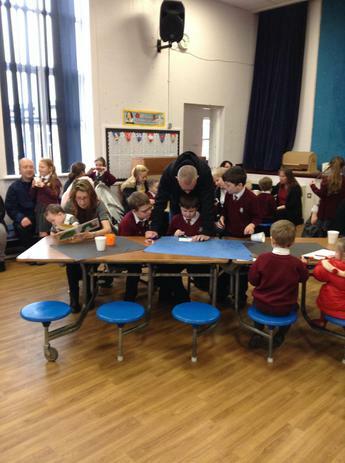 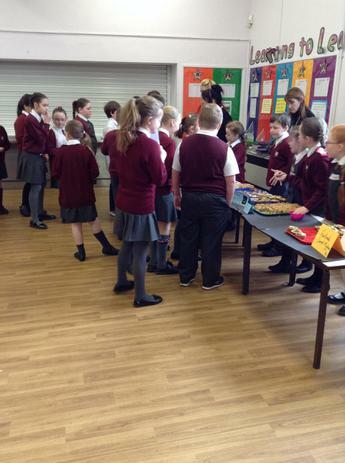 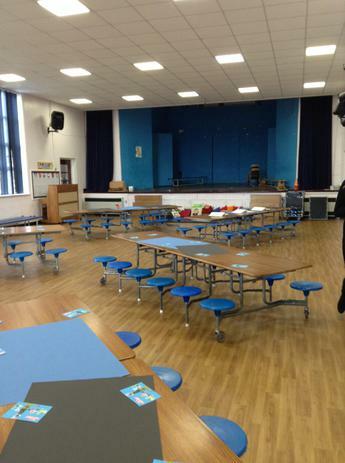 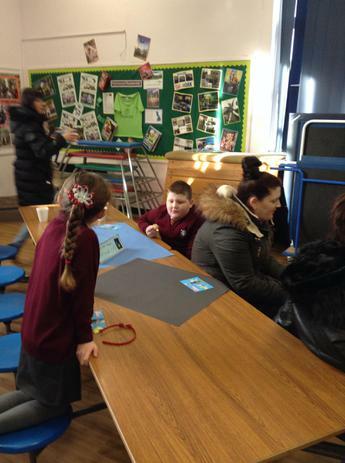 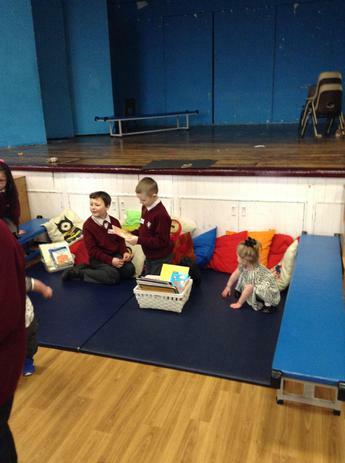 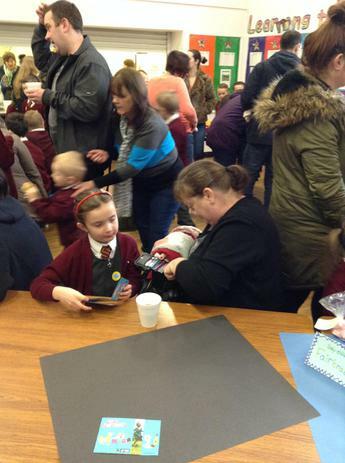 Year 5 preparing for the fair trade breakfast. 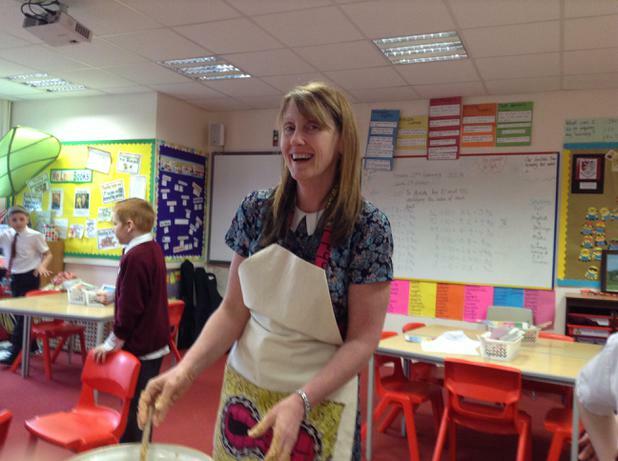 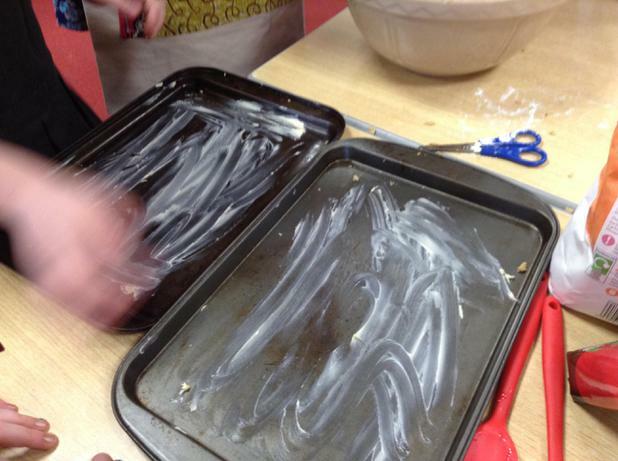 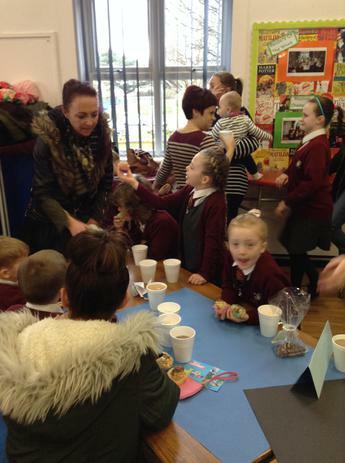 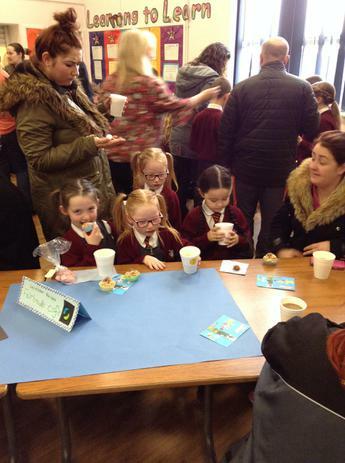 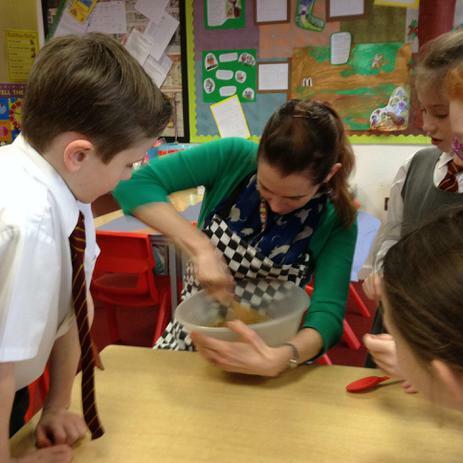 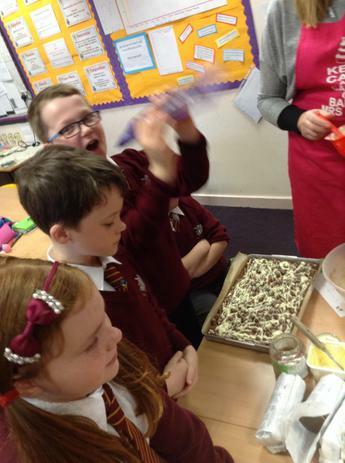 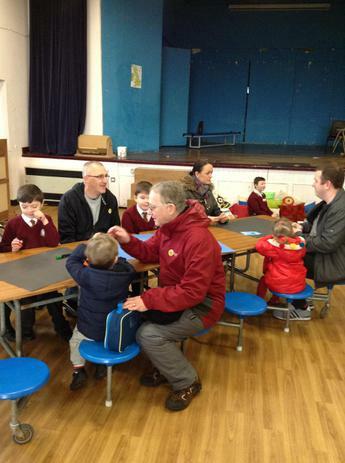 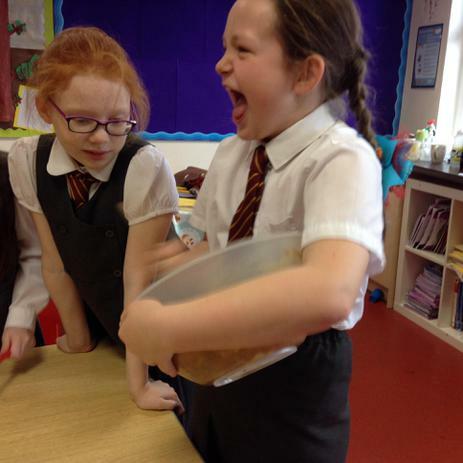 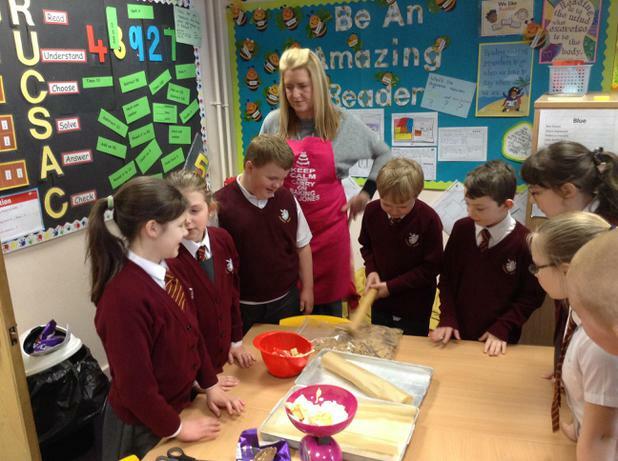 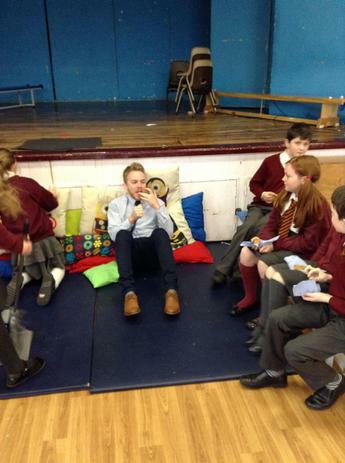 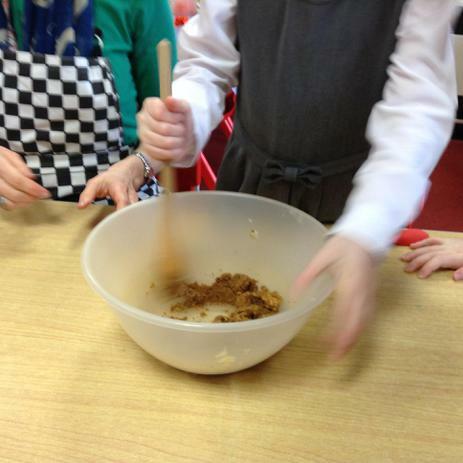 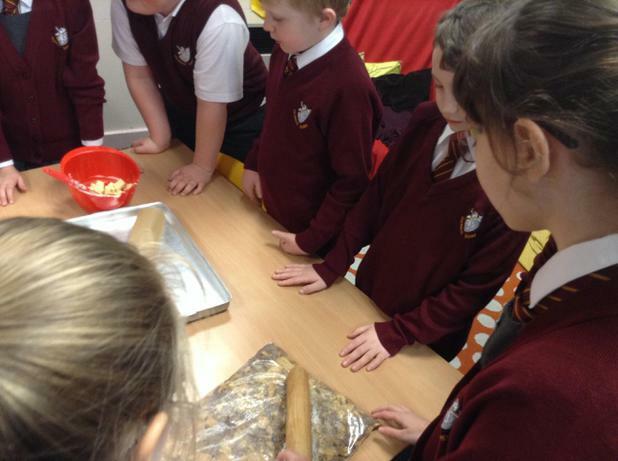 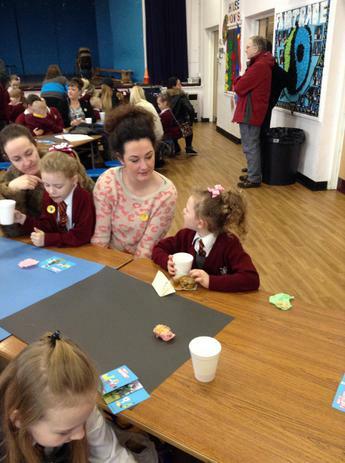 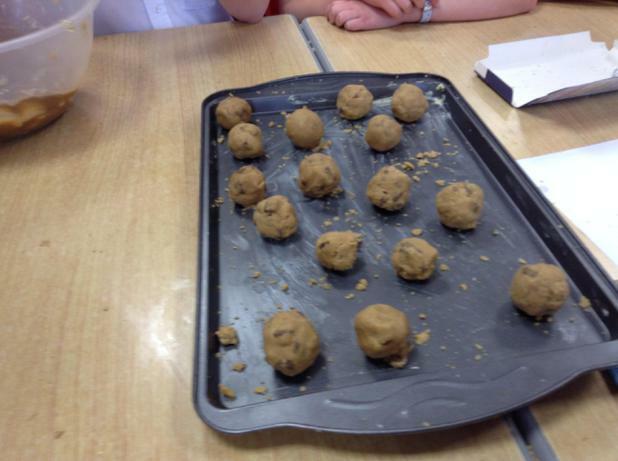 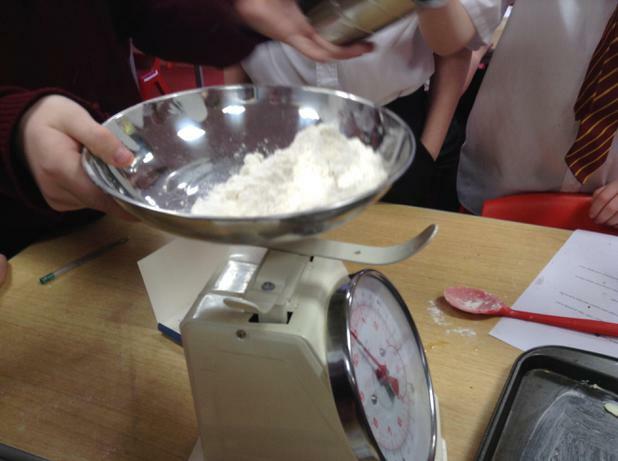 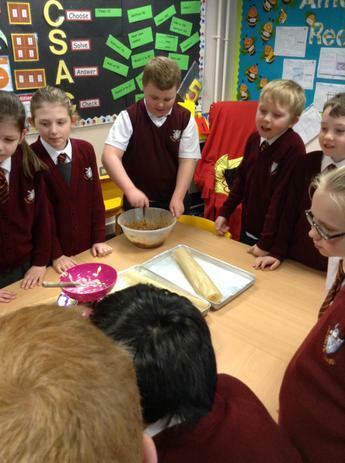 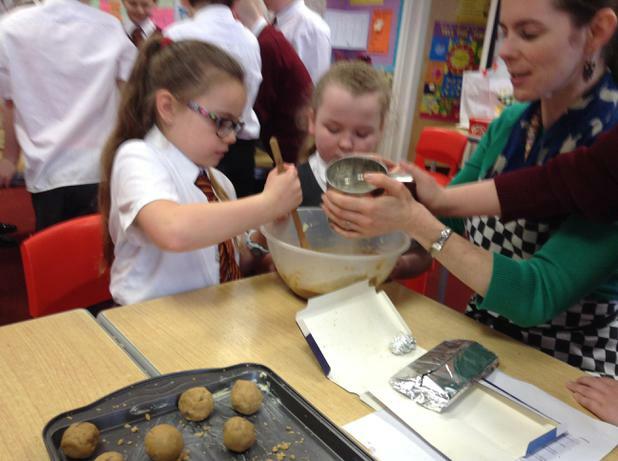 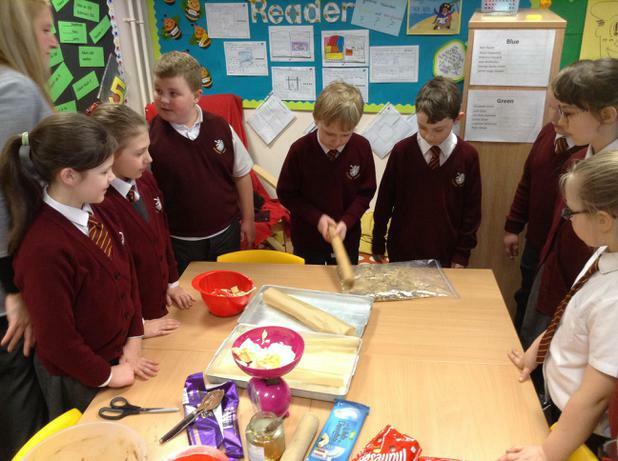 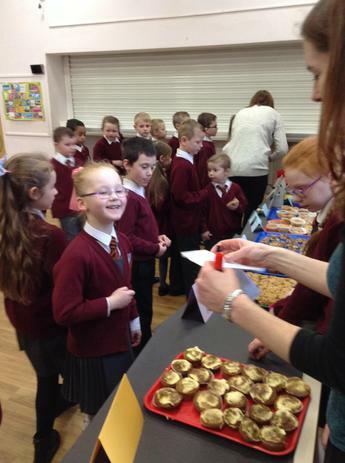 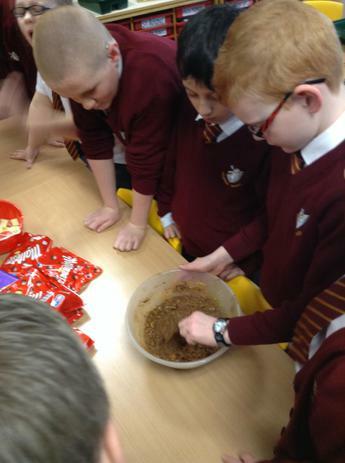 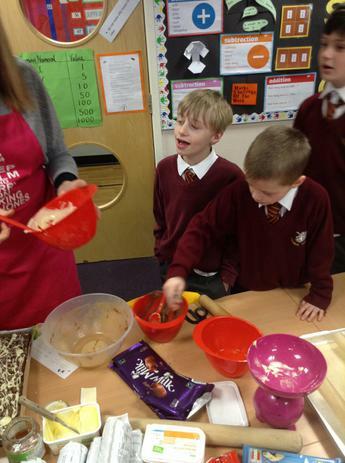 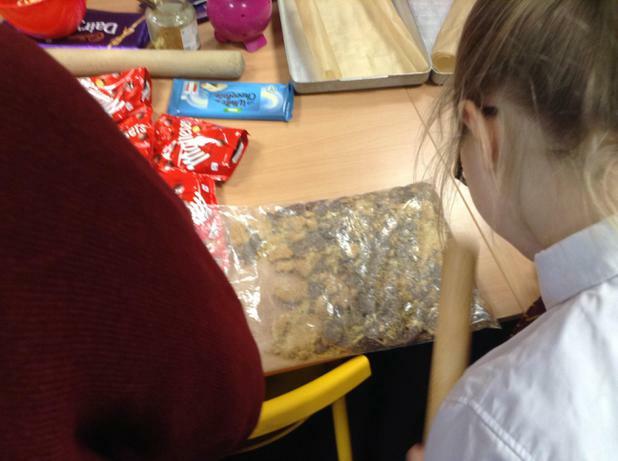 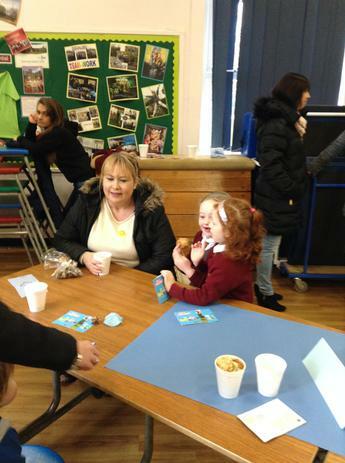 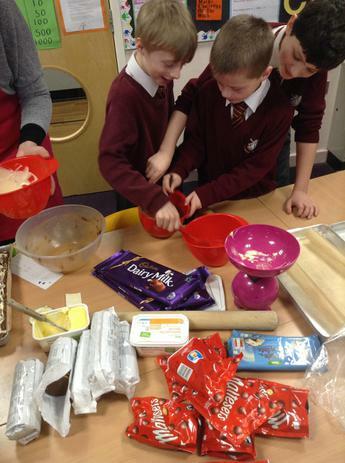 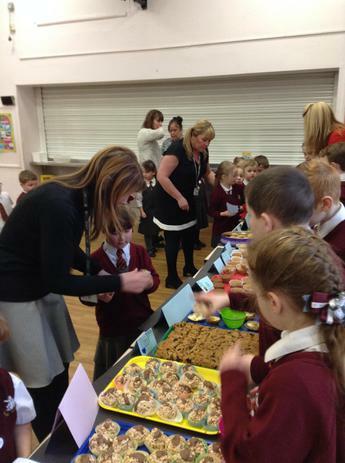 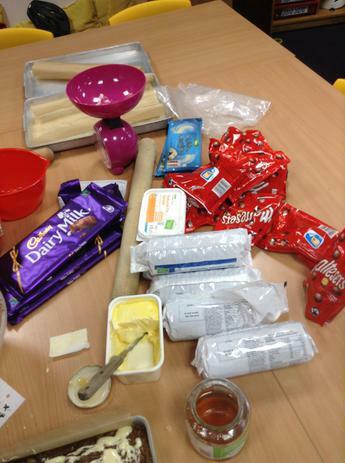 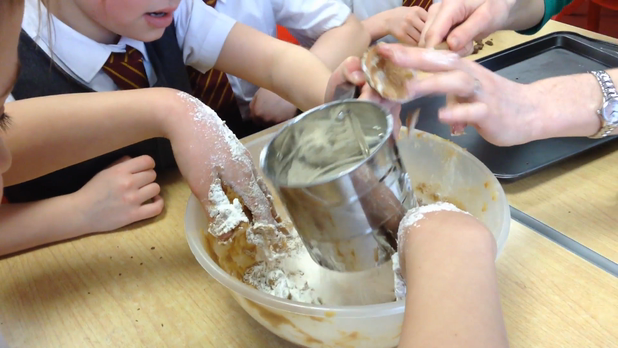 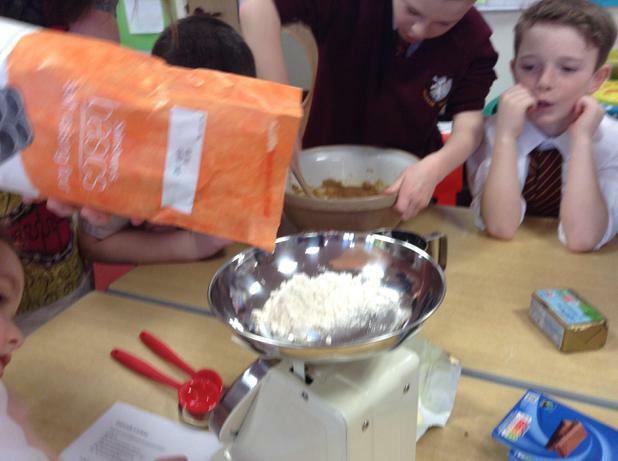 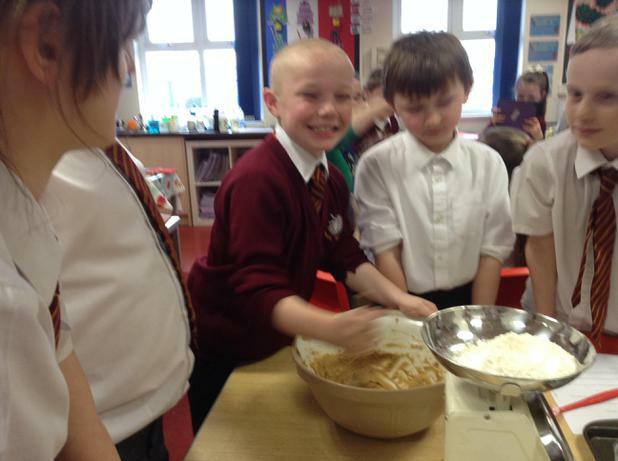 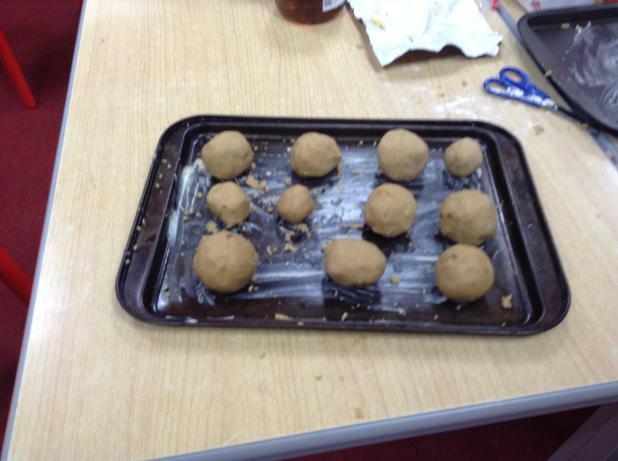 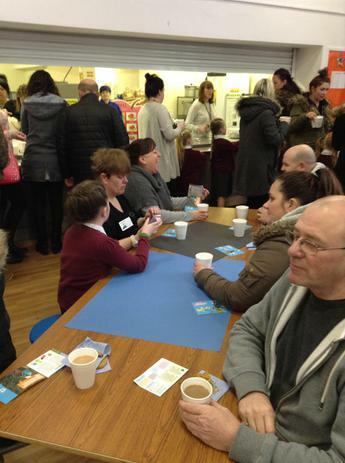 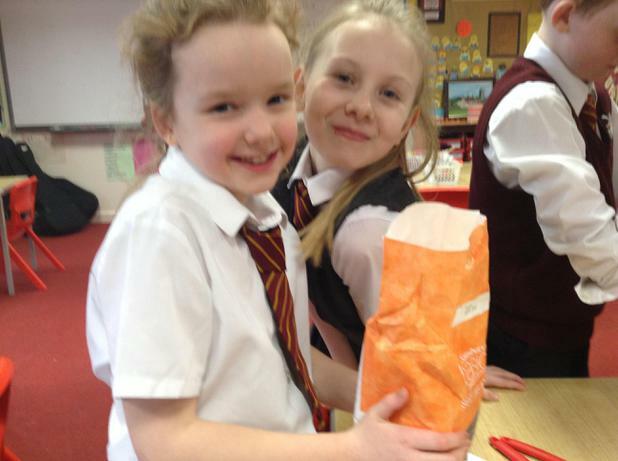 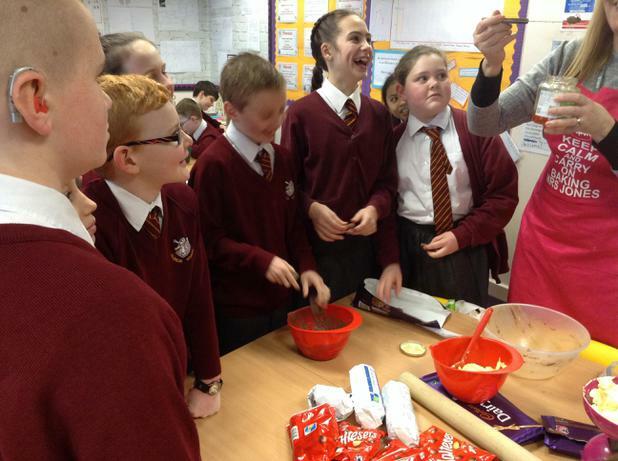 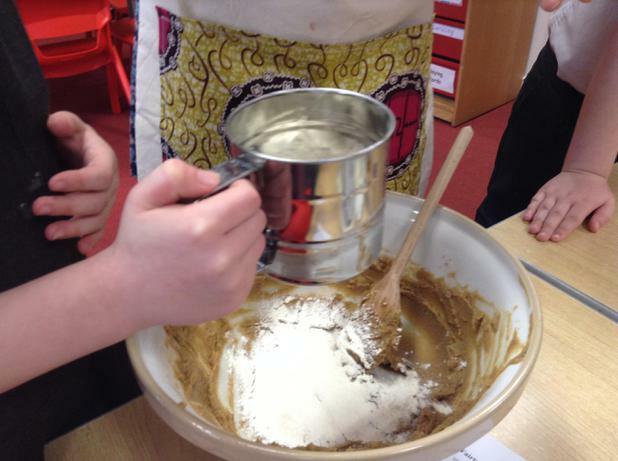 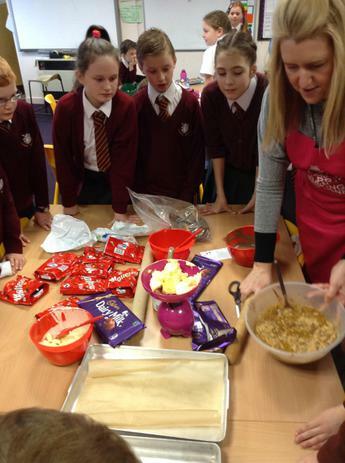 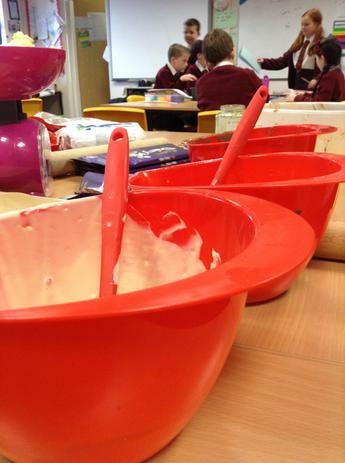 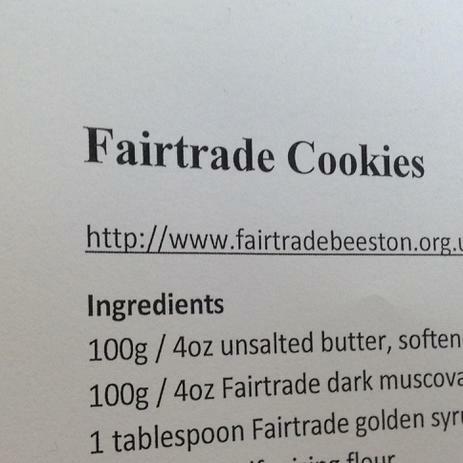 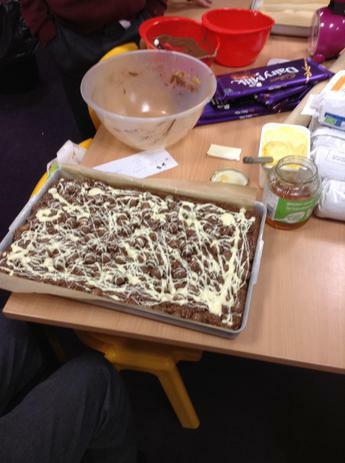 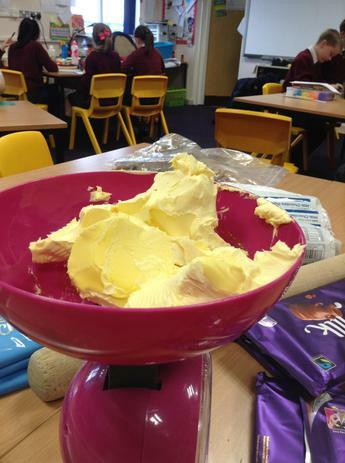 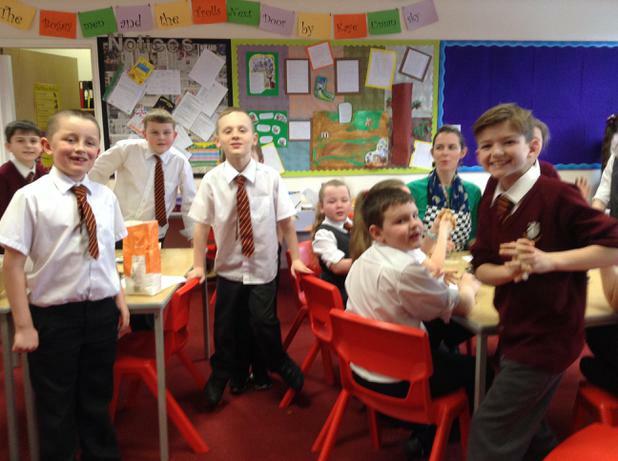 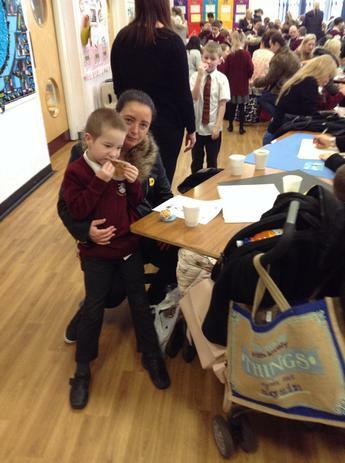 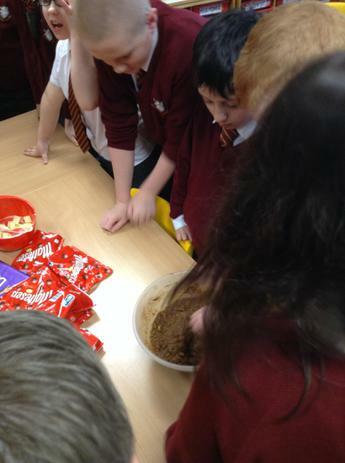 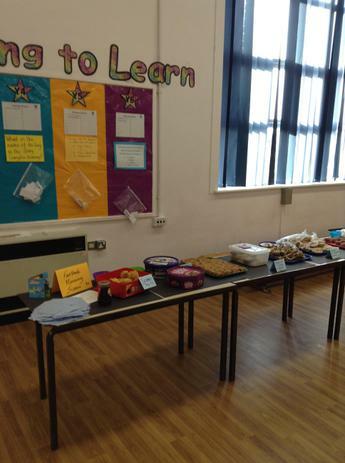 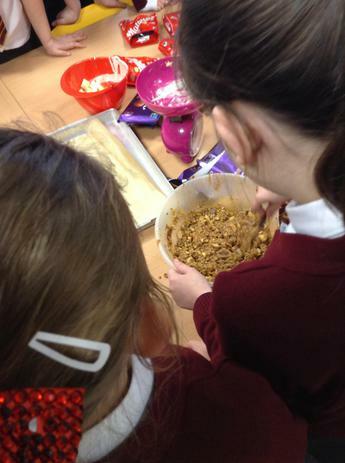 Halsnead celebrates Fairtrade Fortnight by baking cookies for our Fairtrade Big Breakfast! 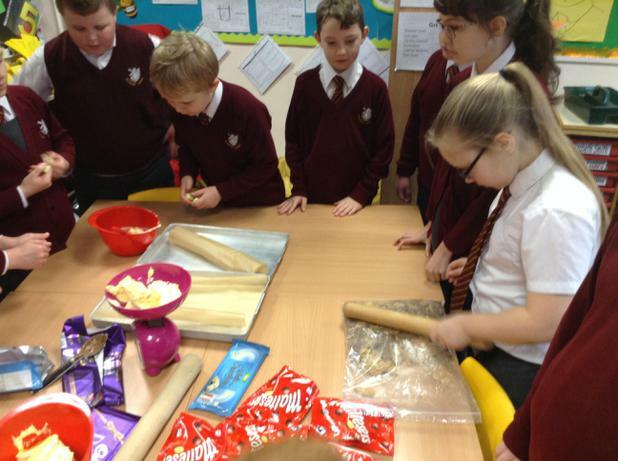 Year 4 are fabulous Fairtrade chefs! 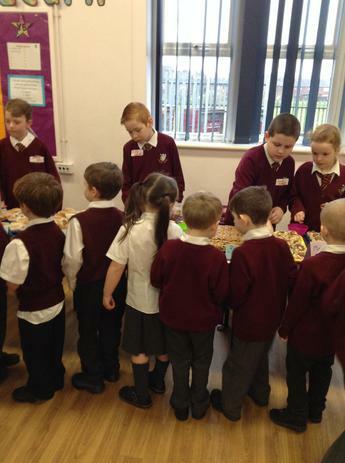 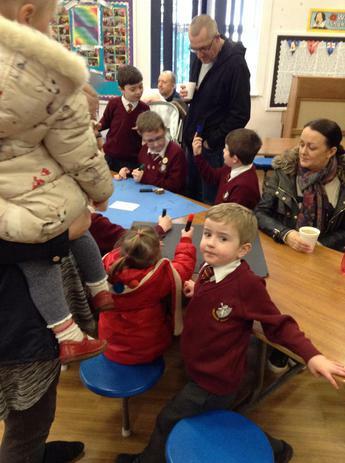 Thank you to the Co-operative shop in Whiston village for their generous Fairtrade donations for our Christmas Fair. 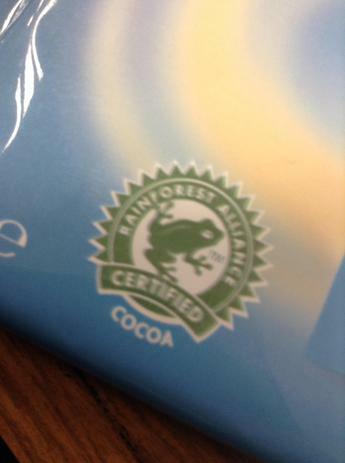 Due to Halsnead's dedication to Fairtrade issues, we have now been awarded the Fair Active award. 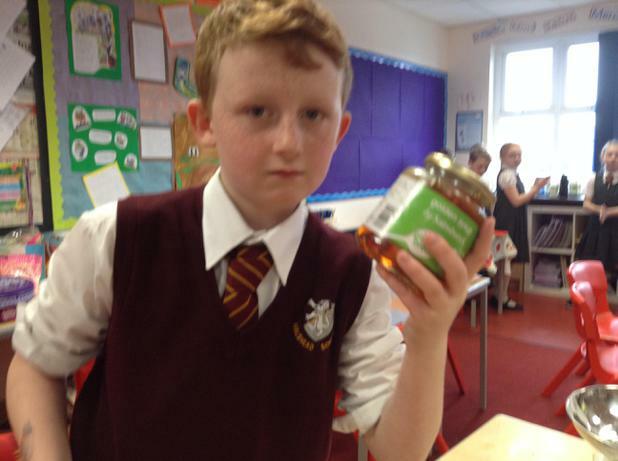 Thank you to our whole school community for your commitment to this valuable venture which really does change the lives of hard-working farmers abroad. 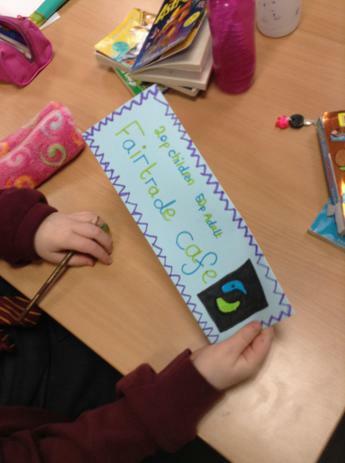 Staff at Halsnead are passionate about Fairtrade products too!